Bengaluru Bulls take on Telugu Titans for the final time this season at the Tau Devilal Sports Complex in Panchkula on Tuesday. 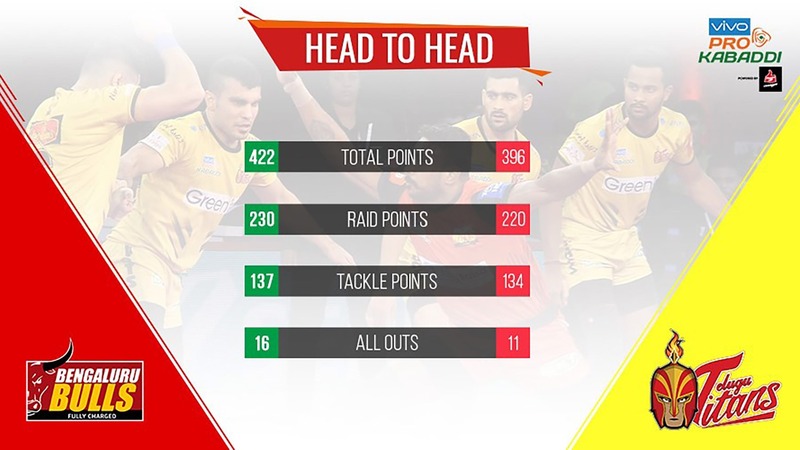 A victory for Bengaluru Bulls will see them go 17 points clear at the top of Zone B, putting them in a strong position to qualify for the Playoffs, while a victory for Telugu Titans will see them move into the second spot in the zone by leapfrogging Patna Pirates. The two sides have met twice this season with Bengaluru Bulls winning both contests. The teams last played against each other in Vizag, with Bengaluru Bulls winning the game 37-24. 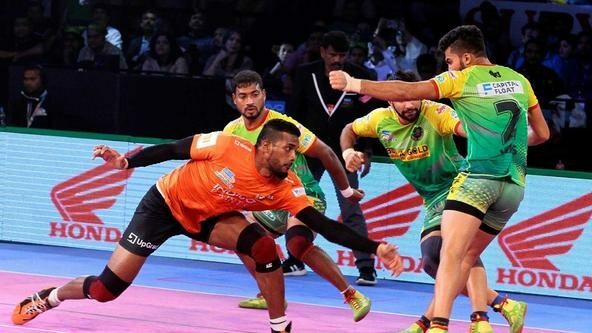 Pawan Kumar Sehrawat starred for them in offence with 13 raid points, while Mahender Singh managed a High 5. 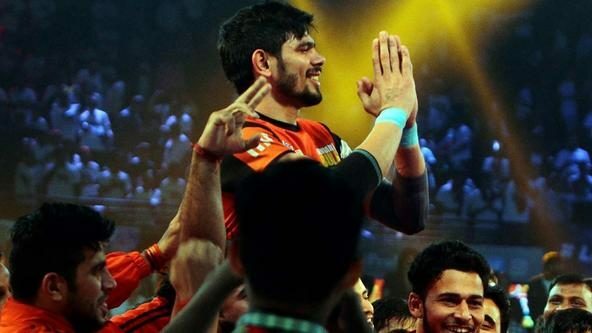 Pawan Kumar Sehrawat has been splendid in this campaign for Bengaluru Bulls. He currently ranks third in the Best Raiders list with 190 raid points in 18 games at an average of 10.56 raid points per game. Sehrawat has scored a Super 10 in 9 of those games and ranks joint-third in that list this season. 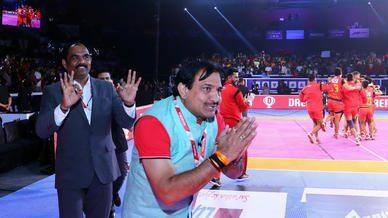 Eight of Sehrawat’s Super 10s have resulted in victory for Bengaluru Bulls. Sehrawat’s average in victories is 12.36 raid points per game and Bengaluru Bulls will look to their mercurial raider for a strong performance once again as they look to seal their place in the Playoffs. 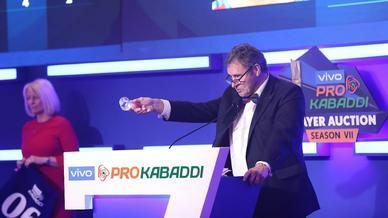 Telugu Titans skipper Vishal Bhardwaj has managed a second-successive 50 tackle points plus season in this campaign. The added responsibility of captaincy has made Bhardwaj better as a player as is evident from the increase in his average tackle points. 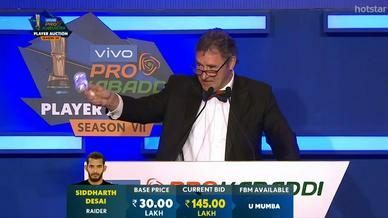 Bhardwaj currently averages 3.67 tackle points per game, the third-best in the league, better than his average of 3.23 tackle points per game last season. Bhardwaj has managed a total of 19 tackle points against Bengaluru Bulls in their contests so far and will look to return with another strong performance against them on Tuesday. Amit Sheoran has been Bengaluru Bulls’ best defender since coming into their starting lineup this season, with 25 tackle points in 9 games. He averages the best amongst Bengaluru Bulls’ defenders this season, scoring at an average of 2.78 tackle points per game. The Left Corner has scored 18 tackle points in his last five outings and will be key against Telugu Titans’ raiding trio of Rahul Chaudhari, Nilesh Salunke and Mohsen Maghsoudlou. Abozar Mohajermighani has been in fine form and is currently among the best Right Corners in the league. Having managed 14 tackle points in his last five games, Mighani also crossed the 50 tackle points mark for the second season in succession in this period. 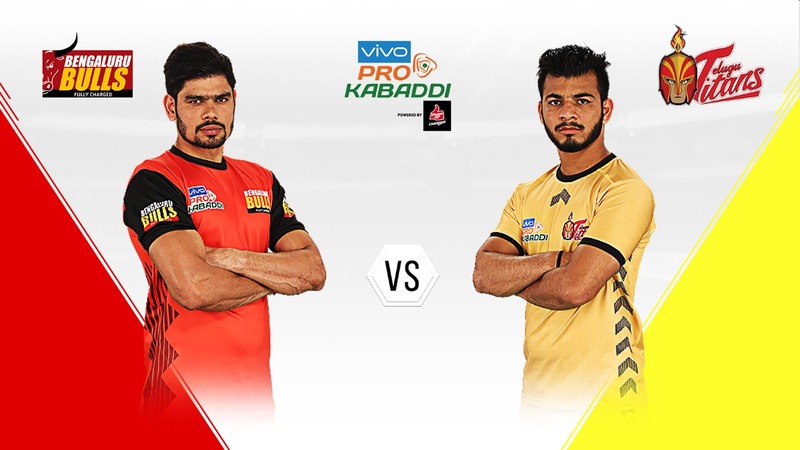 Up against Bengaluru Bulls’ Rohit Kumar, Pawan Kumar Sehrawat and Kashiling Adake, Mighani’s performance could be a huge factor in determining the outcome of the game.